On May 1, 2015 we will be disabling support for SSL version 3.0 on the KioWare website. Instead, TLS-v.1.0 will be the minimum HTTPS protocol supported on the site. 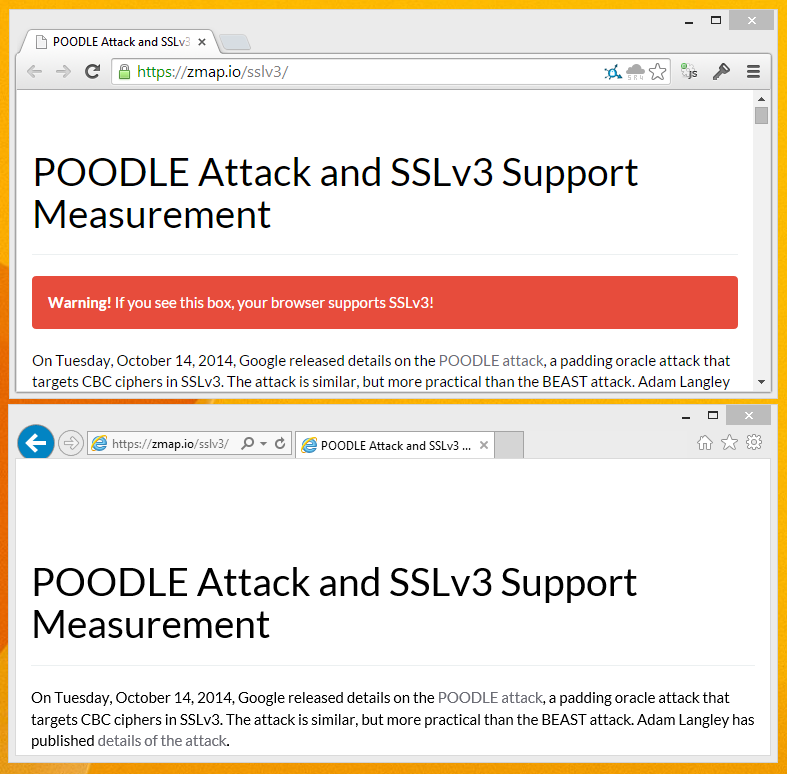 SSL 3.0 has known vulnerabilities that make it susceptible to attack. TLS_Fallback_SCSV is currently supported on the site and is, according to Google, "a mechanism that solves the problems caused by retrying failed connections and thus prevents attackers from inducing browsers to use SSL 3.0" which is vulnerable. Google Chrome has supported TLS_Fallback_S CSV since February 2014. Other browsers, if updated, will similarly support TLS_Fallback_SCSV. For more information about SSL 3.0 and the vulnerabilities, visit PCWorld.com here. KioWare customers will need to disable SSL 3.0 in order to ensure access to account information and online purchasing. If you would like to turn off SSL 3.0 in your browser, you can find more information here.